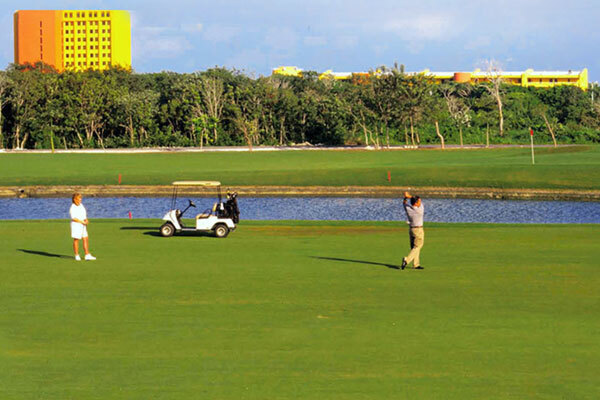 Transportation is included with green fee (minimum two players), additional cost applies for non-player companions. 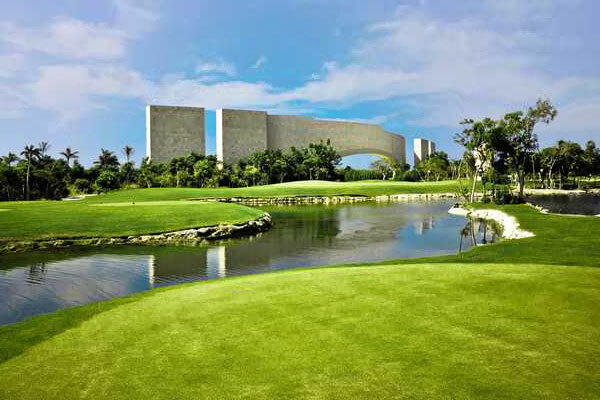 This beautiful 18-hole golf course was designed by a Japanese company and it is easy to tell because every hole includes Rivers, small lakes and Canals, which are connected to the Nichupte Lagoon and bring harmony and balance to the natural context. 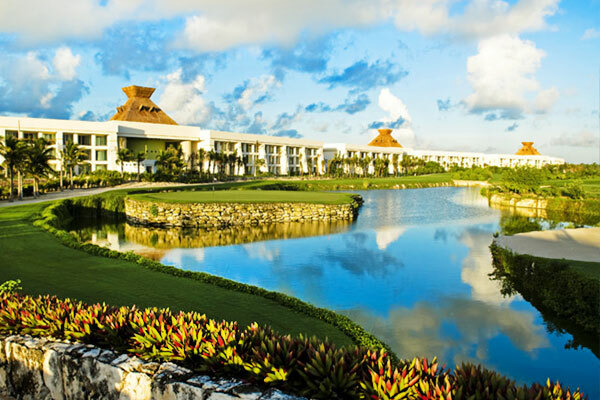 Iberostar Cancun Golf Club is on the shoreline of the Nichupte Lagoon and steps away from the Beach, although it doesn’t have an ocean view it does have a beautiful view to the lagoon. 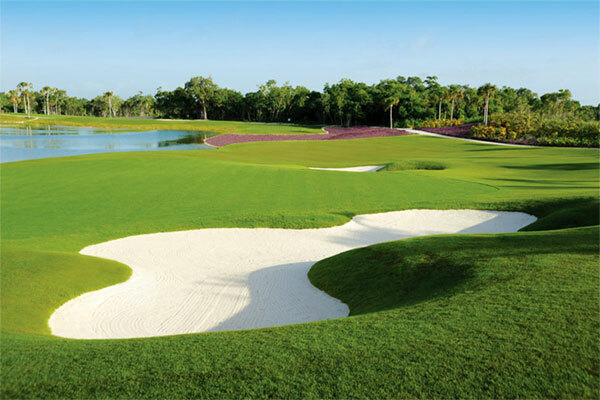 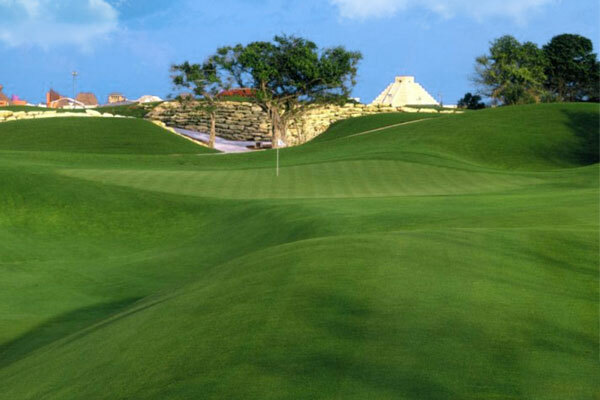 This golf course also have other attractions to consider such as the high number of huge Iguanas that are taking the sun as well as the crocodiles, which you will see swimming or taking a sunbath. 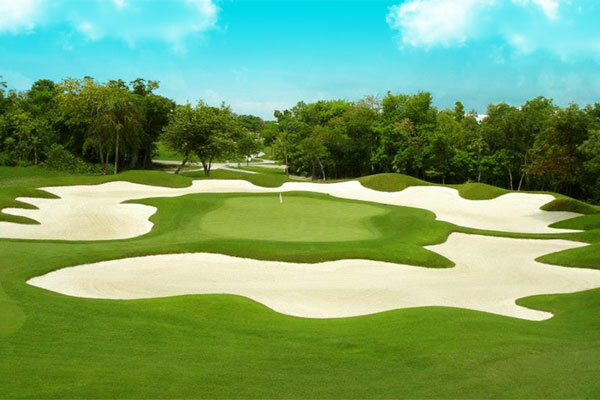 This golf course is friendly for all levels and the clubhouse has a pro shop and a restaurant for having breakfast or lunch. 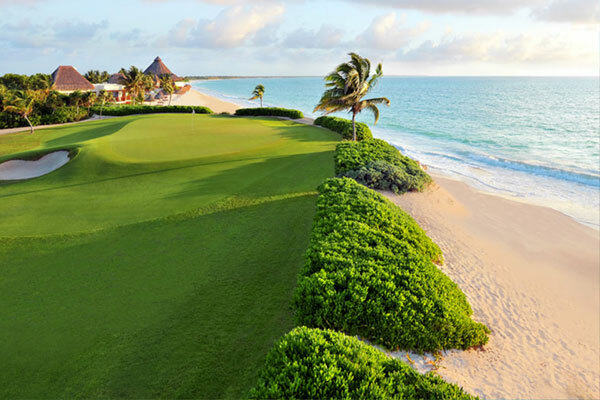 In 2013 Iberostar (Cancun) was selected to hosting part of the Big Break Academy golf program.